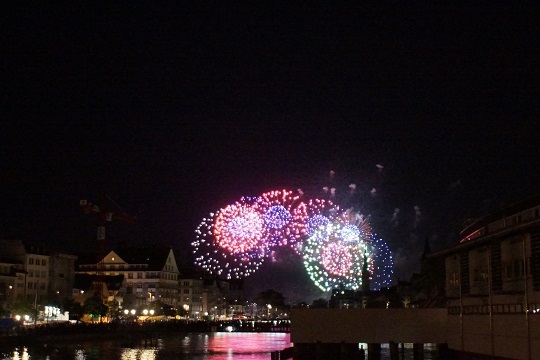 On the Friday and Saturday nights of Züri Fäscht fireworks are launched over Lake Zürich set to music. The Friday night is set to classical music while the Saturday music is set to popular music. Of course, the best place to view the fireworks is from the Lakeside itself - but make sure you get there early (around 21:00) to make sure you get the best views! Some of the fireworks are just at lake level - so being waterside is, by far, the best place to be!